Going natural for dandruff? What on earth does that mean? I receive lots of questions about dandruff and how to treat it and if you’ve gone through this site you’ll see I’ve addressed this problem a few times simply because what works for one may not work for another. So, aside from dandruff shampoos or the occasional aspirin fix as a scalp scrub or addition to your regular shampoo, what else can be done? Go natural! 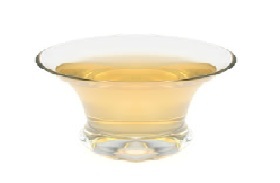 One natural, but stinky, remedy is vinegar. 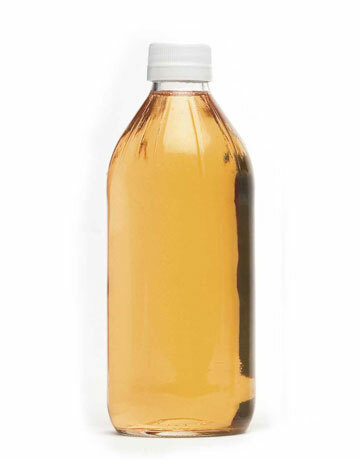 Yes, believe it or not, vinegar helps relieve the itchy and flaky scalps normally associated with dandruff. Vinegar helps blood circulation near the surface of your skin. It’s also effective at fighting bacteria, viruses and yeast – common causes of dandruff. Using vinegar is simple and it won’t break your piggy bank but you’re probably asking what kind of vinegar is best for this? White vinegar and apple cider vinegar are the most popular types used to fight dandruff. Avoid balsamic vinegar at all costs. THE HOW: Mix a small amount of vinegar with warm water. The general rule is to add just enough vinegar to change the color of the water but more vinegar if your dandruff is severe. Take this mixture and gently rub the solution onto your scalp using the soft balls of your fingertips with a gentle circular massaging motion. Rubbing too hard or scratching can lead to scalp pain and damage. 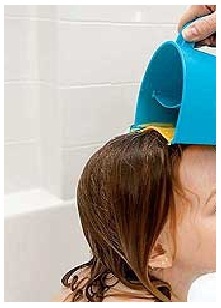 Option 1: Let the vinegar sit on your scalp no less than 15 minutes before washing it out. Option 2: Leave the solution on overnight. Wrap your head with a towel to prevent over evaporation and to keep your pillow dry. Rinse in the morning. You can follow up by using a mild medicated shampoo. THE HOW: Make a vinegar rinse. Everyone has their own recipe but in order to keep your solution at safe levels, never mix water and vinegar at a 1 to 1 ratio. This means do not use 1 cup of water with 1 cup of vinegar as your rinse. 2 to 1 and 3 to 1 ratios are best. Don’t get glassy-eyed and wonder off. It’s not hard. 4 tablespoons – ½ cup of vinegar for one cup of water is the way to go. Option 1: Use the solution as a final rinse after your shampoo and conditioner. Wait a few minutes then rinse with slightly warm to cold water. Option 2: Use the solution as a final rinse but don’t rinse out. Vinegar treatments can offer immediate dandruff relief. In order to see more lasting results, commit yourself to daily vinegar treatments (or every other day). Use mild shampoos or dilute your regular shampoo. This entry was posted in Hair Care, Hair Problems and tagged 2011, dandruff, Hair care, Health, natural remedies, Scalp, Vinegar. Bookmark the permalink. Pingback: Types of Shampoos | Appreciating and loving the natural you!